We are offering Ferro Chrome to our clients. Matching up with the requirements of our clients, we are involved in offering Ferrochrome Lump. 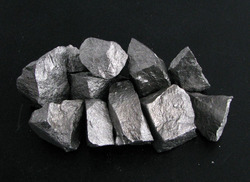 FerroChrome will be produced out of a joint venture company in Oman and the chrome smelter would have access to captive chrome ore, making it a highly cost effective chrome smelting complex. Exports to various regions of the globe comprise about 80% of the group’s market portfolio. 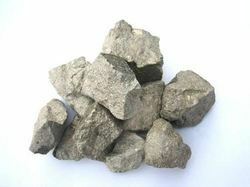 Ferro Chrome is required for manufacturing of Special Steel and Stainless Steel. The Ferro Chrome production capacity is being planned to be expanded to 250, 000 TPA to ensure regular supplies to its customers world wide. Our organization is offering quality High Carbon Ferro Chrome to our customers. These alloys are manufactured using Chromium and carbon respectively 60 % and 8 %(Max). This entire range is available in various sizes such as 10 - 50 mm as per the requirement of user. Rhodium Ferro Alloys Pvt. Ltd.